When Should You Call Your Credit Card Company? Staying in touch with your credit card companies prevents credit card fraud, stops criminal activity in its tracks and helps you avoid inconvenience in cases where there might be an appearance of fraud. Use your home phone to call the activation number on the credit card when your new card arrives in the mail. This lets your credit card company know the card arrived safely at its destination. You've never been to Texas, yet a string of charges at Texas restaurants, gas stations and retail stores appears on your credit card statement. 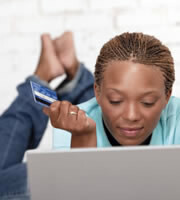 Call your credit card company right away anytime your statement includes purchases you didn't authorize. The issuer can then cancel the account number and issue a new card. It's better to cancel the account and get a new card number than to wait for the errant card to turn up if you think you merely misplaced a credit card. If your card is stolen, call law enforcement and your credit card company immediately. Thieves are notoriously quick in how fast they can conduct spending sprees. Planning to move? Contact your credit card company with your new address to prevent important financial information from landing in the wrong hands. Notify credit card companies if you will be traveling and using credit cards away from home or if you're planning unusually big purchases, such as furniture and appliances after a home remodel. Otherwise, your account might be flagged for potential fraudulent activity because of the unusual activity, and issuers in some cases might block use of the account until they can confirm the charges are legitimate. Don't let that inconvenience get in your way. Know when your credit card statement should arrive, and notify the company when it's late. Mail theft is among the tactics used to commit credit card fraud. Thieves steal your credit card statement and use the information to run up charges on your account. 0 Responses to "Credit Card Fraud Protection: Seven Instances When You Should Call Your Credit Card Company"